Hello, everyone! How was everyone's Christmas? Mine was very relaxing this year. I like it that way. I have already taken the tree down. My kids didn't mind at all. They usually whine when I want to take the tree down early but not this year. I want to show you what I made to go with the hat. I incorporated stamping with the hat I sell. A friend gave me this idea. This was a fast and simple tag I made. I would like to make a better one later that will have the name "Passion for Hats" on the tag. Will have to order the personalize stamp for that. I used the Extra Large Decorative Label Punch for the tag. For the longest time I couldn't figure out what to do with this punch. I had it ever since the Holiday Mini catalogue was out and now the Occasions Mini will be out soon. The little crocheted flower on the tag was from Helen. It was so nice of her to crochet me a whole bunch of mini flowers for me to play with. Thank you Helen! I've started a blog for the hats I'm selling. Here is the link to Passion For Hats. You can order it through there for now and eventually I'll have a website for it. Leave a comment while your there. 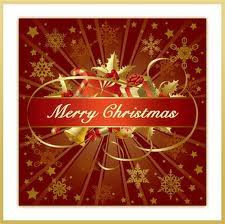 Wishing you all a wonderful Christmas with your family and friends! thank you all for visiting my blog and leave me wonderful comments. I enjoy reading all of them. Hello, everyone! Happy Wednesday. Getting close to Christmas and I'm still not finish with my shopping yet. I'm so behind this year on everything. Went to a baby shower this past weekend and it was a lovely one. Very relaxing and the decorations was beautiful. I forgot to bring my camera so no picture of the shower. I crocheted a hat for the baby. This is a different flower I made just for the baby. The other flower I usually make is too big for a new born. It was nice to make something so little. Didn't take me long at all. ETA: I have no pattern for this hat. I made some "thank you" cards for the mom to give away. The mother loved these "thank you" cards and she said they are too nice to give away. She is so silly. They are MADE to give away. Thank you for visiting my blog this busy time of year! Hope you all are having fun shopping and preparing for the holidays. I love Christmas time even if it is so busy all the time. I'm praying for snow on Christmas day. It's just not the same if there is no snow. Happy Tuesday, everyone! I was able to make a card to show you. 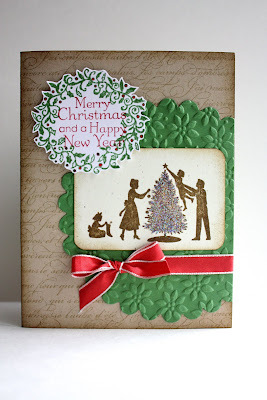 I used the Bells and Boughs stamp set. Very nice set but that means I have to do some colouring. I coloured the poinsettias in with the markers. I used Real Red and Pretty in Pink markers for the flowers and Garden Green for the pines. Did the Top Note die and the Perfect Polka Dots embossing folder for the background paper that goes behind the poinsettias. Randomly stamped the card front with the hollies in Crumb Cake ink to give it a soft look. Hello, everyone! Happy Wednesday! Here is a Christmas card I made using the Welcome Christmas stamp set. Did the Petals a Plenty embossing on the Garden Green cardstock and cut it out with the Scallop Circle die and the Big Shot machine. I added Dazzling Diamonds on the Christmas tree for some glittering. Thank for stopping by today! Have a great day! Happy Monday, everyone! I had a fun and busy weekend. Did a Christmas Cantata at church yesterday and it was a great turnout. The auditorium was full. The theme this year for the cantata was "The King Of Love." Wonderful message in the songs we sang. Jesus is the reason for the season. He came to this earth long time ago to die on the cross for our sins. The only way to heaven is through Jesus Christ. 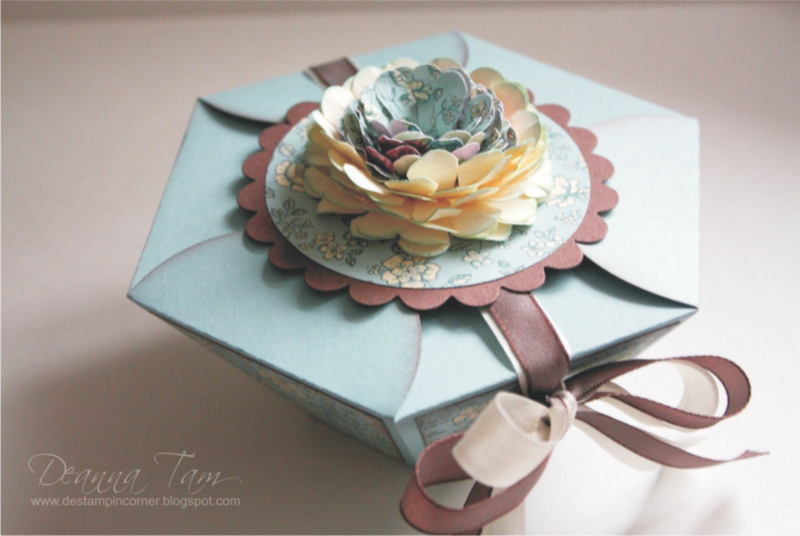 Here are two ornament cards I made using the Circle Scallop die and the Petals a Plenty Embossing Folder. The stamp set is the Welcome Christmas found in the Idea Book and Catalogue. Hello, everyone! Here is the last Christmas card we did for the stamp-a stack class. This Season of Joy stamp set is an old set but a good one. It has been around for 3 or maybe 4 catalogue years now. 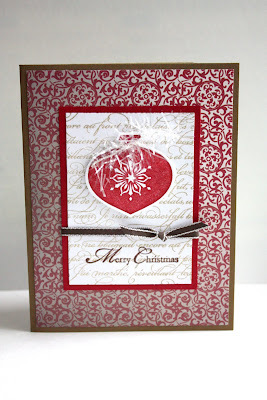 We did embossing on the background using the Petals-a-Plenty embossing folder and the Big Shot machine. The embossing made the background looked so pretty. We put Chunky Glitter in the middle of the poinsettia to give it some glittery look to the card. DH helped me with all the decorating too. He was a big help to me. Here is another card we made at the stamp-a stack class. I think it is called a Z fold but I'm not sure. We used the Northern Flurry embossing folder on this card. Anything snowflake I own them. Did the Rock n' Roll technique on the main image snowflake. This technique is so easy to do. Hello there, everyone! How are you all doing today? Here is one of the stamp-a stack cards we made Monday night. I took some time away from crocheting to have a class. It was fun to stamp with my new customer and get to know her. Here is a votive candle holder favour she made for her wedding this past summer. She gave one to me. That's so sweet of her. 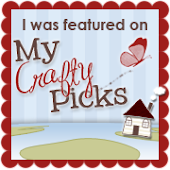 She used the Scallop Circle punch and the 1-1/2" Circle punch for her tag. A very simple favour she made. There is also some basil seeds inside the holder so all her friends can grow the basil themselves. The basil goes with her wedding theme "Grow Your Love." I think it is so sweet and thoughtful of her to give a wedding favour that is useful for everyone. Thank you for stopping by today! Have a wonderful day!